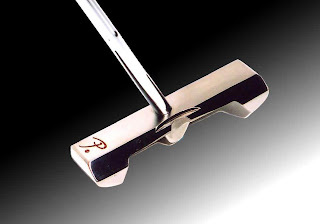 The Logical Truth: Little scratches won't affect the function of the putter. The Psychological Truth: When it looks better, it works better. He explained the whole process: he's about to make a putt, he reaches for his club, sees those nasty little scratches, and is suddenly in a bad mood because of them. Now his mental game is off; he's not concentrating on the putt. This is how three- and four-putt holes are born. Does this sound about right? Does your music sound worse coming from a scratched iPod? Do you not ski or snowboard as well in an out-of-style jacket? Does your dirty car make you a more irritable driver? Yep - it may be silly, but it's real. Maintaining a clean, aesthetically pleasing classroom is deemed so important that it is a "domain" in which teachers have to prove themselves. I've never done any official research, but the kids don't seem to care. Sounds a lot like the "Broken Windows" theory of law enforcement: if you keep a place looking nice, potential criminals (or troublesome kids) will perceive that their mischief won't be tolerated. So I agree that one wouldn't notice whether or not the kids "care" - it'd be deeper than caring, on a subconscious level. Ah, applied mind tricks!